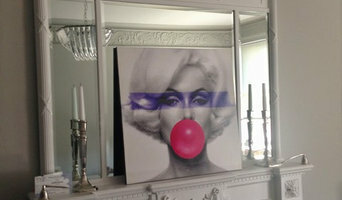 Lady Decorators is the first ever all-female team of painters and interior decorators operating across Sussex. It's our team that really sets us apart from our peers. We take pride in our work; sharing a meticulous approach to painting and decorating and carrying out painstaking preparation to achieve a flawless high quality finish which exceeds our clients' expectations. Please click on the images below to meet the Lady Decorators team and find out what makes each of us tick, at work and at play! If you're looking for a reliable team of interior decorators to transform your home then contact us today! Qualified time served tradesman with a wealth of experience specialising in wallpapering having applied most of the top names Farrow&Ball, Brian Yates, Lori Weitzner, Armani, Osborne & Little, Cole & Son plus others and hand painted kitchens from leading manufacturers Davonport and Clive Christian. Inkmill Vinyl produces custom vinyl wall coverings for interior design projects. Choose from a selection of ready-made designs at www.inkmillvinyl.co.uk which can be custom sized for your project or upload your own designs for a bespoke and personalised project. "A professional painting & decorating company, with the same high standards as you." 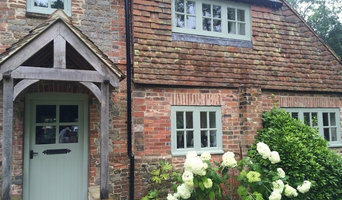 Serving London, Sussex & the South-East for nearly 18 years, Alix James Decorators are proud to provide a high-quality, ethical & personalised decoration service. We work with you to tailor designs, colour schemes & finishes to your specific requirements. No job too small, we handle both commercial & residential contracts - painting & decorating homes, hotels, period & listed buildings, care homes, surgeries, offices, schools & commercial premises. Marriott Interiors provide painting and decorating services to domestic and commercial customers within a 30 mile radius of Tunbridge wells. We are a well-established and respected business with over 15 years industry experience and expertise, we are highly skilled painters and decorators and ensure consistently high standards of quality. Stuart lives and works in central Brighton, where he is fascinated by contrasting cultures and the denseness of the urban environment. Having graduated with a degree in Three-Dimensional Design from Middlesex University in 1992 his approach is typified by a celebratory use of colour and pattern. His experience and curiosity is balanced with expertise in creative surface solutions having worked alongside Interior Designers, tastemakers and retail clients for the past 16 years in a design led wallpaper, tile, mosaic and stone company. Motivated by the pursuit of newness and the challenge of finding originality when everything has been done, his first modular wallpaper collection is typified by vivid contemporary nostalgia. With 25 years of decorating experience and a perfectionist nature, we will always quickly complete your decoration to a high standard. We pride ourselves on our neat and efficient painting and decorating work. You don’t have to worry about mess or time wasting. 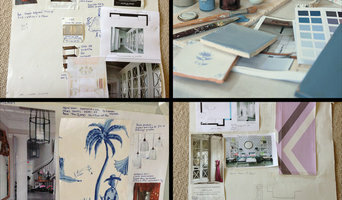 We ensure our decorating service is as easy as possible, and always meet the deadline. Most importantly our team of painter decorators are friendly, respectful and enjoy decorating. They finish each job with a smile. I am a young, friendly and hard working. I have over 13 years experience painting and decorating, many of them spent under the wing of my uncle who was a master of the trade. I believe that decorating is more than a necessity; I believe it has the power to transform the atmosphere in a room or home and can really contribute to living a more peaceful and balanced life- the positive reactions from my clients support this idea. I find it very rewarding to see them enjoy their new space and take pride in knowing that they will be happy with it for years to come. With DIY stores stocking a huge range of paint products these days, understanding different paints and what colours work where can be a real struggle so I am always happy to share my experience and knowledge to simplify the process from the beginning if it is required. Along with most of the advanced brushes and rollers, I have the latest dust-free sanding equipment to ensure a perfect, mess-free job every-time. I also undertake many small interior and exterior jobs and repairs, which can often mean it is not necessary to find another trade, so please say if there is other work you need completing aside from decorating. Due to a last minute change to a clients schedule I now have some availability before Christmas, so please get in contact today if you require a quick freshen up before the festive season! Brewers is the largest independent supplier of decorating materials in the UK with over 150 branches. 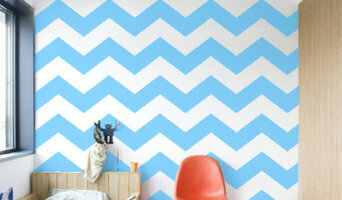 We have been selling wallpaper online since the year 1999 and we carry stock of over 4,000 different wallpaper patterns. On our site we have a selection of over 11,000 papers, for all of which we have samples available immediately. The wallpaperdirect team consists of customer service professionals, a sample team and warehouse staff. I am a professional decorator, a proud member of hpkuk.com and an approved Dulux Select Decorator. I have twenty year experience in the painting & decorating industry which began as a spray painter focusing on furniture finishes, this then led me into decorating where I could use my spray shop skills to give the finest finish in my customers homes. 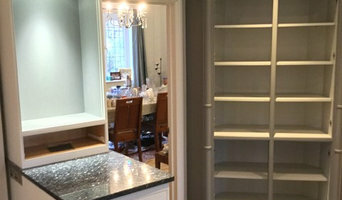 I now specialise in hand painted kitchens and furniture, this can be anything from a new bespoke kitchen or to an old kitchen in need of freshening up. I cover Kent, Surrey and Sussex. I use state of the art dustless sanding equipment to keep your home as clean as possible; masking products to protect all surfaces; best quality materials, brushes and tools. Being a Dulux select decorator I can offer two years guarantee on all work where Dulux products are used, this is backed by Dulux. I only work with the highest quality materials suitable for the job. I have many years of experience and plenty of happy customers new clients can speak to. I am based in Angmering, West Sussex. Armourcoat has led the world developing polished plaster and high performance surface finishes. A global brand operating in over 70 countries, we are committed to technical excellence. With an outstanding product range - now including 3D sculptural effects and innovative panel systems - featuring recycled material and low VOCs, Armourcoat remain at the forefront of sustainable decorative surface solutions. Quel peintre sur Brighton, East Sussex, UK choisir pour la rénovation de ma maison ? Quels sont les services fournis par un peintre poseur de revêtement mural sur Brighton, East Sussex, UK ? Quelles sont les étapes des travaux réalisés par un artisan peintre sur Brighton, East Sussex, UK ? Pour trouver un peintre et applicateur de revêtements muraux sur Brighton, East Sussex, UK, affinez votre recherche dans la section « Trouver un pro » par ville ou par nombre d'avis. Nous vous invitons à regarder des photos de décorations murales sur Brighton, East Sussex, UK et à contacter un professionnel en revêtements muraux qui a travaillé sur des projets similaires au vôtre.